Martin’s engaging and interactive speaking style along with his unique approach to the subject of diversity has made Martin an in-demand interview subject for radio news talk shows and business and professional publications. Check this page frequently to find out where you can hear interviews with Martin and read about him in business, news, and professional publications. “Are you Weird or just weird?” Watch Martin Davidson make this distinction, tell about his path to diversity, and encourage the audience members to discover their own weirdness and embrace it! Based on Martin’s blog called In Search of a Safe Port, this broadcast featured Martin and fellow members of MARC (Men Advocating Real Change), Michael Kimmel and Mike Otterman. Ashley Milne-Tyte led the conversation about men discussing women in the workplace…without women in the room. Listen to the 17-minute broadcast at The Broad Experience. Diversity is not only an HR responsibility. Leveraging difference is different than managing diversity. The continuous struggle to keep people (retention). In a Leveraging Difference world we’re working to shift a culture and build an organization with a capability for difference. The only tenable position a leader can take is to be a learner. Martin Davidson on ethics and leadership at the Darden Graduate School of Business. In a “Darden Newsmakers” edition of the BusinessCast, Ken White, Director of Communications, Darden School of Business, speaks with Darden professor, and Associate Dean and Chief Diversity Officer, Martin Davidson. Martin is the author of two recent Wall Street Journal articles in the series – “Leveraging Difference Makes a Difference” and “Embracing the Weird,” the subject of this podcast. Martin offers his views on seeking out those who seem different, as those individuals often offer the best ideas and a different way of looking at what the group is trying to do. March 11, 2010: In response to Martin’s recent Washington Post “On Leadership” Web series on “In Praise of Damaged Leaders,” he was invited to participate in the Minnesota NPR morning news program, Midmorning with Kerri Miller. The topic was Personal Vices and Public Leadership. Click “Listen” to play the broadcast. A repeat guest on National Public Radio’s With Good Reason program, speaking on: “Leveraging difference in the workplace”, with Erika James, June 2005. View his first post about Senator Harry Reid’s comments about then candidate Obama’s skin color and dialect, January 11, 2010. March 2, 2010, In Praise of Damaged Leaders. “Rethinking Political Correctness,” by Robin J. Ely, Debra Meyerson, and Martin N. Davidson, Harvard Business Review, September 01, 2006. “Embracing the Weird,” Martin N. Davidson, The Wall Street Journal, November 15, 2008. Selected as a “2009 Top 100 Under 50”, Diversity MBA Magazine, September 2009. “Leveraging Difference Makes a Difference,” Martin N. Davidson, The Wall Street Journal, December 19, 2007. Quoted in “Is There Room at the Top for Black Executives?” Ron Stodghill, The New York Times, November 1, 2007. Quoted in “Getting Commitment From Black Managers: Study shows corporations fail at retaining minority employees,” Lee Anna Jackson, Black Enterprise magazine, August 01, 2005. Quoted in “On-the-Job Conflicts: How Blacks and Whites React Differently,” Jordan T. Pine, http://www.DiversityInc.com , December 14, 2001. Quoted in “Tips to Prevent and Resolve Cross-Cultural Conflicts at Work,” by Jordan T. Pine, http://www.DiversityInc.com, December 17, 2001. Schedule Martin as a guest on a television or radio news program, or interview him for an article. The African American Teaching Fellows is a non-profit organization that recruits and trains African-American students to become teachers in Charlottesville City Schools and Albemarle County Public Schools. Each year, its John E. Baker Legacy Dinner features a keynote address on a pressing issue facing the community and celebrates local citizens who emulate the legacy of John E. Baker. In the first three years of the event, AATF has given awards to individuals who have dedicated their lives to the service of others and to the support of education and we have recognized young professionals who have shown the potential to become leaders in the community. Martin will be talking at this event from the principles of his book, The End of Diversity as We Know It: Why Diversity Efforts Fail and How Leveraging Difference Can Succeed on the morning of September 25, followed by lunch and a book signing. The event will be held in Chicago, Illiniois. Designed specifically for recruiters and talent management professionals, the 2014 SHRM Talent Management Conference & Exposition gives attendees the tools, resources, innovations and solutions they need to move human capital strategies to the next level. Martin will speak on How Diversity Impacts Talent Management Strategies, Mon, April 28, 1:30 PM – 2:45 PM. Click here for more information and to register. Martin Davidson is a proud recipient of the esteemed 2014 John T. Casteen III Diversity-Equity-Inclusion Leadership Award. 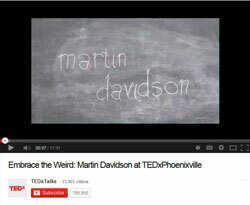 Martin was nominated for the award by Dean Robert Bruner, Darden Graduate School of Business, University of Virginia. He will speak at the awards luncheon on March 21 at Alumni Hall. 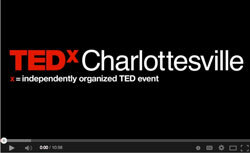 On November 15 Martin will talk on the principles of his book, The End of Diversity as We Know It at the first TEDx Charlottesville. The event, themed The Difference that Makes a Difference goes from 9:00am-6:00pm, and will be held at The Paramount Theater on the Main Street Mall. For more information and an updated agenda visit http://www.ted.com/tedx/events/8358. In this year’s annual conference, Inclusion, Inspiration, Imagination, NAMIC (National Association of Multi-ethnicity in Communications) Martin Davidson will answer the tough questions, “Is having a group of culturally diverse people working around the conference table really any better than having a homogeneous group working? Political correctness aside, what is the real bottom line payoff from diversity?” His session, The End of Diversity as We Know It, will be held on October 9 from 10:15-11:30 am. NAMIC was created to help lead the way in leadership development, multicultural marketing solutions, and compelling research in emerging trends for an increasingly diverse population in the communications industry. Learn more and register now for this year’s conference.